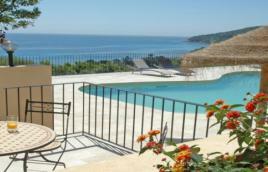 On the web page «Rentals Corsica» you will find a list of all holiday rentals by owners in southern Corsica and holiday rentals by owners in Upper Corsica. 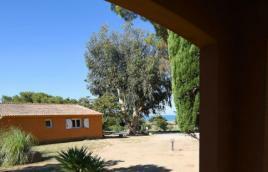 - for inexpensive holidays in Corsica you will find chalets in the mountains or by the sea in Corsica, rentals on the ground floor of a villa or top floor of a villa in all of Corsica. 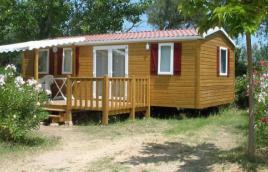 – for a slightly higher or even much higher budget you will find rentals of charming houses with swimming pools in Corsica, rentals of old, renovated wooden houses or Corsican sheep pens for holiday rentals, rentals of villas with or without swimming-pool in southern Corsica and rentals of villas with or without swimming-pool in Upper Corsica. These villa rentals in all of Corsica are either luxury villas in southern Corsica or in Upper Corsica, or luxury villas or deluxe villas also in southern Corsica or in Upper Corsica. The residences on the list are small, privately owned residences offering holiday rentals, these are not tourist residences and it’s the owner who usually welcomes you. 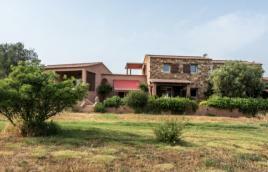 This category of holiday rentals by owners in Corsica includes rentals of apartments in Corsica as well as rentals of mini-villas or villas in Corsica within a residence. 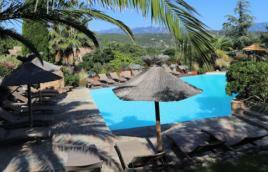 - inexpensive rentals in Corsica on the waterfront, inexpensive rentals in Central Corsica. - luxury rentals in southern Corsica, luxury rentals in Upper Corsica, 4 and 5 star luxury rentals in southern Corsica, 4 and 5 star luxury rentals in Upper Corsica. Thus, rentals in Corsica will give you all the information you need to travel in Corsica, and so you will spend holidays in Corsica that are either inexpensive holidays in Corsica or holidays in Corsica with luxury services.